Rejecting the typical notion of a pavilion as an object in a plaza, the China Pavilion for the 2015 Milan Expo (designed by Tsinghua University in conjunction with the New York-based design firm Studio Link-Arc) is instead conceived as a field of spaces. Designed as a cloud hovering over a “field of hope”, the pavilion is experienced as a sheltered public plaza beneath a floating roof that incorporates the building’s cultural and exhibition programs. 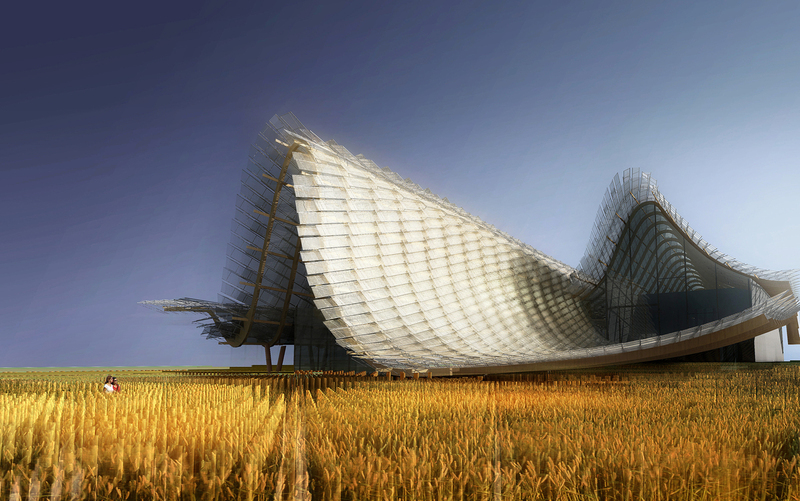 The roof’s distinctive profile creates an iconic image for the project and will foster a unique presence within the Expo grounds.